Computer programming grads from Champlain College are in demand. It seems like the college can't turn them out fast enough to fill openings for security experts, video game programmers and web and mobile developers. Unfortunately for Champlain, that also means qualified instructors can be hard to find. 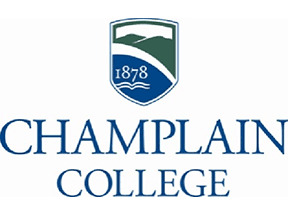 Champlain College Assistant Professor John Pile Jr., who teaches in the college's Division of Information Technology and Sciences, is part of a search committee on the hunt for someone to teach mobile development. Only a handful of candidates have applied for the position they currently have open; dozens typically vie for jobs in the school's sciences and math programs. "It's difficult to compete against the technology industry," he said during an interview in West Hall, home of the ITS division. Pile, 38, handed me a photocopy of Game Developer Magazine's April 2013 Salary Survey that he gives to students. It notes that game programmers have an average salary of $92,151; programmers with six or more years of experience can expect to earn six figures.